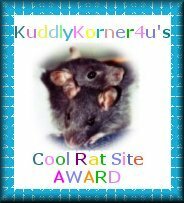 This page is dedicated to the awards in which I am awarded in various specialties. 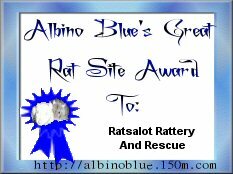 I'd like to thank anyone who feels I do deserve an award for my content and my deep compassion for not only my ratties as well as any in which I help through my rattery and rescue to obtain happy,healthy and safe forever homes. I appreciate your kindness immensely. Thank you.